The terms “tax rate” and “tax bracket” are not interchangeable. 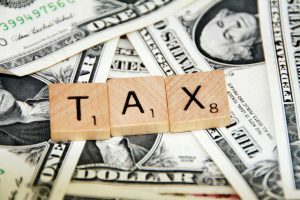 These commonly used tax terms have been in the news a lot lately, but many don’t understand the differences between them. When the standard deduction (or the sum of all itemized deductions), and personal and dependent exemptions ($3,700 each for 2011) are subtracted from adjusted gross income, the resulting amount is taxable income. Different levels of taxable income are taxed at different tax rates, which are percentages used to calculate the tax bill. The current tax rate percentages are 10, 15, 25, 28, 33 and 35. The rates have been the same since 2001, but are scheduled to expire at the end of 2012. If the current rates are not extended, the tax rate percentages will be 15, 28, 31, 36 and 39.6. Tax brackets contain the ranges of ordinary income that apply to each tax rate. Ordinary income that falls within a given bracket is taxed at that bracket’s rate. Examples of ordinary income include salaries and wages, interest earned, income from self-employment, taxable IRA distributions, and forms of other income. Among sources of other income are business income, farm income, rental real estate, alimony, unemployment compensation and nonqualified dividends. Long-term capital gains and qualified dividends are taxed differently – I’ll get to that shortly. Tax brackets are progressive: as you make more money, you get pushed into higher tax brackets that apply to specific amounts of income. For example, a single taxpayer with $50,000 of taxable income in 2011 will pay 10 percent on the first $8,500, 15 percent on income between $8,501-34,500 and so on. The “50,000th” dollar falls within the 25-percent tax bracket ($34,501-83,600). These are “marginal” rates, as they apply to increasing amounts of income – the higher the tax bracket, the higher the marginal rate. “Many people wrongly confuse marginal tax rate with total tax rate; as you get pushed into a higher tax bracket, that doesn’t mean all your income is taxed at that rate,” Charney said. The tax rate schedules are groupings of the tax brackets and are based on filing status. This means that at what point your income dictates you move to a higher tax bracket depends on what your filing status is. By selecting the wrong filing status, taxpayers can unwittingly underpay or overpay their taxes. Long-term capital gains and qualified dividends are not considered ordinary income and are taxed at 15 percent, and for low income taxpayers, the rate can be 0 percent. These rates also are scheduled to increase after 2012. A long-term capital gain is realized when a taxpayer holds an asset (e.g., stocks, bonds, mutual funds and tangible property, but not inventory) for more than one year and then sells it for more than he paid for it. However, gains on the sale of collectibles (e.g., antiques, works of art and stamps) are taxed at a maximum rate of 28 percent. For a dividend to be a qualified dividend, it must be received in connection with stock the taxpayer held for more than 60 days during the 121-day period starting 60 days before the ex-dividend date. The ex-dividend date is the day on which a taxpayer who buys the stock will not get the most recently declared dividend. If these terms are not met, the dividend will be taxed as ordinary income. When people say “effective tax rate,” they are talking about the percentage of your income you actually paid in taxes. The effective tax rate is the result of the various tax brackets your income has been subjected to and any tax credits and other factors impacting how much you end up paying in taxes. Understanding how tax is calculated on income and gains can help you avoid paying more than you are required to pay in taxes; smart tax planning that considers your entire financial picture can save you money. Now that you understand how taxes are calculated, check out our income tax calculator to plan ahead for tax season.